This tutorial shows you how to make beautiful round leaf with little hole inside and trimming around center part and from outside. Simple trim makes the leaf look finished. Center part made of different height posts worked in round. Trimming around the center worked under the front loops of stitches. Leafstalk made the same way as trim. Thanks for watching! Leaf was made with Crochet Hook 2.25mm (which is #2 US standard) and with yarn: 55% Cotton, 45% Poly Acryli, 160m/50g. 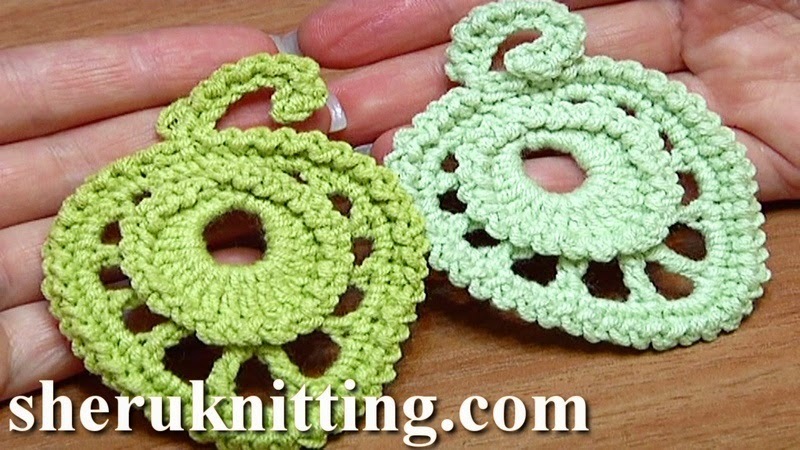 Темы: Crochet Leaf Tutorials, Free Crochet Leaf Tutorials!